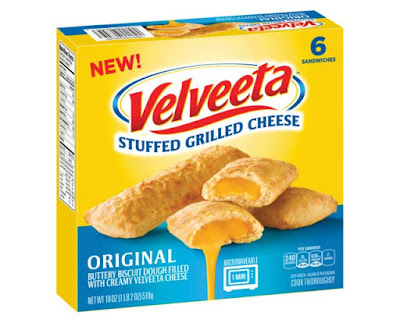 Kraft brings Velveeta to the frozen food aisle with the nationwide launch of two new products: Velveeta Stuffed Grilled Cheese and Velveeta Cheesy Bites. Velveeta Stuffed Grilled Cheese is a Hot Pocket-like savory turnover buttery biscuit dough with a filling of melted Velveeta cheese. Each turnover heats up in the microwave in about a minute. Velveeta Cheesy Bites comes in two flavors: Original and Salsa con Queso. 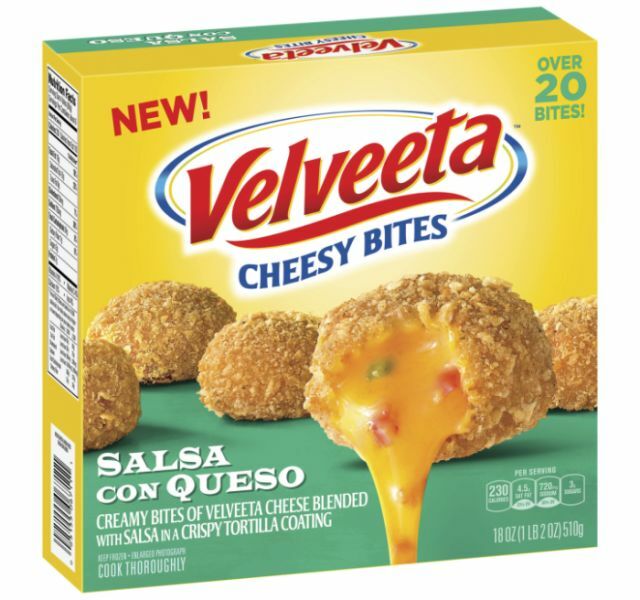 Original Cheesy Bites feature creamy bites of Velveeta cheese with a crispy breading, while Salsa con Queso Cheesy Bites offer creamy bites of Velveeta cheese and salsa with a crispy tortilla coating. Both Velveeta Stuffed Grilled Cheese and Velveeta Cheesy Bites are available in 6-oz and 18-oz boxes. The suggested price for an 18-oz box is $4.99.